Abstract: Secret Image Sharing (SIS) is an important research area combining methods and techniques coming from a cryptographic technology, secret sharing (SS), and image processing. However, SIS is not just a trivial combination of SS and image processing.When extending SS to SIS, some key Issues (e.g., type of secret, choice of Finite Field, position for embedding)should be carefullyaddressed.A (k, n) SIS is to share a secret image into n shadow images, and the secret image can be recovered from any k shadow images. However, one cannot obtain any secret information from (k-1) or fewer shadow images.In this lecture, two major approaches for implementing (k, n) SIS are introduced. The first one is polynomial-based SIS, which is based on the well know Shamir’s secret sharing. And, the other is code-based SIS; for example, using Reed Solomon code, a maximum distance separable code. The relationship of polynomial-based SIS and code-based SISis discussed.In fact, there are high similarities and tight relations between polynomial-based SIS and code-based SIS. These two models are only different ways of looking at the same problem. Thus, the same research issues can be studied by using these two approaches, respectively, and still have contributions. Both approaches have their pros and cons, and can be properly combined to develop their specialties and simultaneously avoid disadvantages. This lecture gives you a deeper understanding of innate characters of polynomial-based SIS and coded base SIS, to design and develop SIS. In addition, this lecture also includes the latest technologies, algorithms, solutions and applications for SIS. 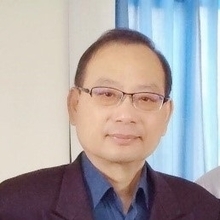 Biography: Professor Ching-Nung Yang obtained his Ph. D. degree in Electrical Engineering from National Cheng Kung University. His B.S. and M.S. degrees, both were awarded in Department of Telecommunication Engineering from National Chiao Tung University. Dr. Yang served in National Dong Hwa University since 1999. His current title is Professor in Department of Computer Science and Information Engineering. He had been Visiting Professor to University of Missouri Kansas City, University of Milan, and University of Tokyo. He is currently a Fellow of IET (IEE) and an IEEE senior member. Professor Yang has done extensive researches on visual cryptography and secret image sharing, and is the chief scientist in both areas. In fact, a very important innovation of visual cryptography, the probabilistic visual cryptography, was firstly proposed by Professor Yang. His areas of interest include error correcting code, multimedia security, cryptography, and information security. He has authored two books and has published over 200 (including more than 100 SCI-indexed papers) professional research papers in the areas of information security and coding theory. In the meantime, he has served/is serving in international academic organizations. He serves as technical reviewers for over 40 major scientific journals in the areas of his expertise, and serves as editorial boards and editors of special issues for some journals. Also, he was invited as chairs, keynote speakers, and members of program committees for various international conferences. He is the recipient of the 2000, 2006, 2010, 2012, and 2014 Fine Advising Award in the Thesis of Master/PhD of Science awarded by Institute of Information & Computer Machinery.